More than half of all mortgage refinances originated over the past six years by affluent homeowners have been done to obtain cash, with Golden State homeowners accounting for the lion’s share of the total. A recent CoreLogic report examines “cash-out refinance” trends, a move in which homeowners refinance their mortgage for more than they owe and receive the difference in cash. 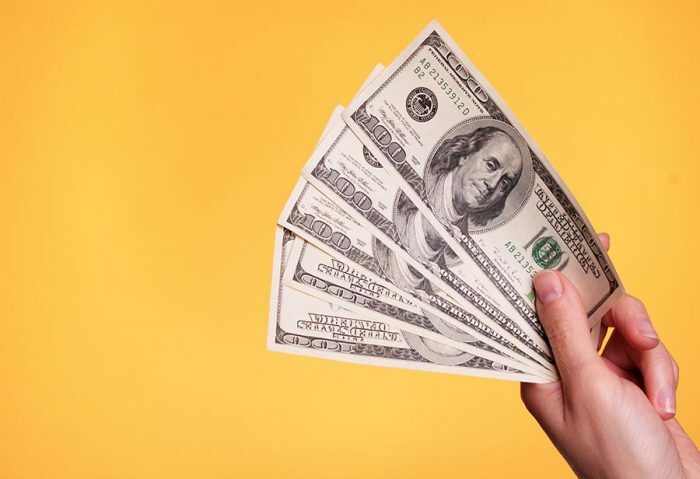 According to a Bankrate article, cash-out refinances are commonly used to pay for home improvements, college tuition, or a down payment on a second home. Of refinanced mortgage loans between $10 million and $20 million originated since 2013, 47 percent have been cash-out refinances. CoreLogic notes that wealthy homeowners who refinanced these sizable loans in 2018 did so for an average of $8.3 million more than the original mortgage amount. Six states have accounted for more than 90 percent of multimillion-dollar cash-out refinance activity over the past six years. California by far leads the nation for refinancing for cash, accounting for 55 percent of those loans, about three times more than No. 2 Florida. Regardless of the size of the mortgage, homeowners consider refinancing may find that early 2019 is an opportune time to do so. According to the latest numbers from Freddie Mac, 30-year, fixed-rate mortgages fell to 4.45 percent for the week ended Jan. 10, the lowest in nine months. Improving physical-fitness habits is often at the top of New Year’s resolution lists, and San Francisco is one of the best places in U.S. to shape up. A WalletHub study ranks the 100 best cities in America for living an active lifestyle on a 100-point scale based on 38 metrics in two major categories: budget and exercise participation and sports- and outdoor-friendliness. Based on those criteria, San Francisco ranks as the No. 3 city in the country for those who wish to pursue an active lifestyle, scoring a 59.07. The City by the Bay also places No. 3 in the country in the overall sports and outdoors category, tying with New York City and San Diego for the most fitness centers per capita. But perhaps not surprisingly, San Francisco does not fare nearly as well when it comes to the costs of keeping in shape, with the highest monthly gym fees in America. While Chinese investors in U.S. real estate have traditionally been very affluent and purchased homes in all cash, the middle-class is getting in on the game and using mortgages to finance their purchases. Citing data from the National Association of Realtors, CNBC reports that the median sales price for homes purchased by Chinese buyers in 2018 was $439,000, down by nearly $100,000 from the previous year. A Texas real estate professional told the publication that while it is typically difficult for foreign buyers to obtain a mortgage with less than a 50 percent down payment, several Dallas-area lenders are working to make the process easier. Lenders in San Francisco have also set up similar programs. The Chinese remain the largest international buyers of U.S. real estate, most spending a total of $30.4 billion in NAR’s most recent study, with California their top destination. While California saw more residents leave than move in last year, the state is not among those with the largest out-migration trends. That’s according to a recent report from United Van Lines, which found that the Golden State saw 54.4 percent residents move out in 2018 compared with 45.6 percent who arrived. The most common reason for leaving California was to be closer to family, while the biggest reason for moving here was by far the state’s booming job market. The last time California had more inbound people than outbound residents was 2015. In 2018, California did not rank among the top 10 for states with the most people coming or leaving. Vermont was the most popular inbound state, which may be related to the fact that it will pay telecommuters $10,000 to relocate there.